Submit an online Information Request to have specific class information about our upcoming classes emailed to you, including course dates, times and cost. 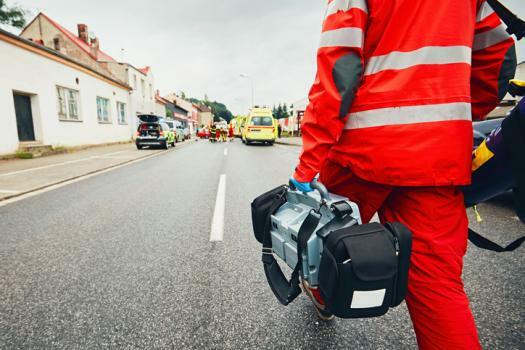 Emergency Medical Responder Initial Hybrid Course: This hybrid in-classroom and online course will prepare the student to become an Emergency Medical Responder with the State of Minnesota Emergency Medical Services Regulatory Board (EMSRB). The program combines the online-learning experience with essential hands-on skills and scenario training. Initial American Heart Association CPR BLS certification is included in this course. In addition, students who successfully complete the course will be eligible to sit for the National Registry of Emergency Medical Technicians (NREMT) written exam for Emergency Medical Responder if advanced request is received. The curriculum is based on the National Highway Traffic Safety Administration National EMS Education Standards for the Emergency Medical Responder and Emergency Medical Technician (2009). This class acts as the pre-requisite for the Emergency Medical Technician Completion Course (to obtain Initial EMT Certification). The EMR Initial Hybrid Course is offered on Thursday evenings each Fall with 3-4 Saturday, day classes.